Nollywood actress and mother of three, Mercy Johnson has revealed to the world and spoken on what her greatest fear in life is. 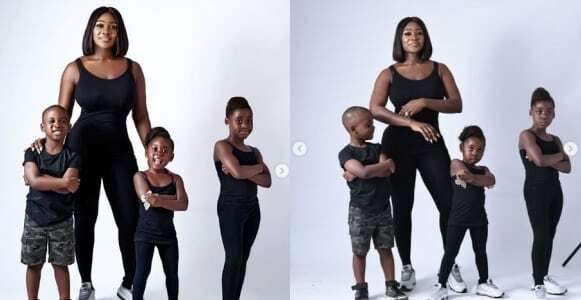 Oetv News reports that the Nollywood actress took to her Instagram handle where she shared adorable photos of herself and her kids in a matching outfit. In her post, Mercy Johnson captioned the photos with words describing what her great fears in life are.